"Twenty-five generations of Whiskers have lived in Windsor Castle’s most famous exhibit: Queen Mary’s Dollhouse. For young, book-loving Henry Whiskers and his family, this is the perfect place to call home. 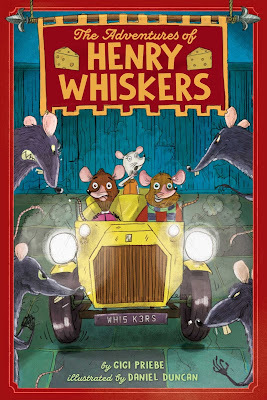 "In the first book of The Adventures of Henry Whiskers, the dollhouse undergoes unexpected repairs, and when Henry’s youngest sister, Isabel, goes missing, he must risk everything in a whisker-whipping race against time to save her. His rescue mission will take him to the murky and scary world of Rat Alley, and Henry will have to dig deep and find the courage he never knew he had in order to bring his sister back home." "In The Long Way Home, it's Henry who is now gone missing. Little Henry is thrilled when he discovers an old, crinkly map, complete with a giant X marking a spot. But before he can share his exciting find with his cousin and best friend, Jeremy, they find themselves being unceremoniously caught and thrown out of the castle by the kitchen chefs! With nothing but the map, the two little mice realize they have bigger problems than being caught in the kitchen—how will they get back to the dollhouse? 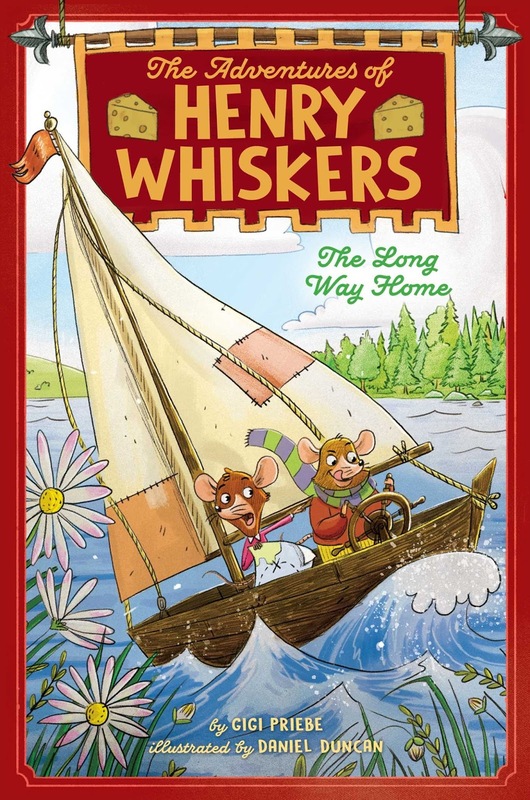 The cousins battle a hungry falcon, an endless and stormy lake, and the maze of landmarks on the Windsor Castle Grounds as they try to find their way back home—and discover the mysterious map is more connected to the Whiskers family than either of them could have ever imagined." These adventure stories are action-packed and deliver just the right amount of suspense for young readers. With classic style, Henry Whiskers is quite the heroic mouse who uses his uncommon courage to help his family. His adventures are full of peril, balanced with helpful friends. While character development is not the main focus (I'm sure we'll learn more as the series continues), kids will love the traditional action-driven plot. The setting is what makes this story unique—what a fun idea to use an actual, famous, ridiculously-elaborate dollhouse as this mice-family's home. Because if I were the size of a mouse, I would definitely want to live in Queen Mary's dollhouse. 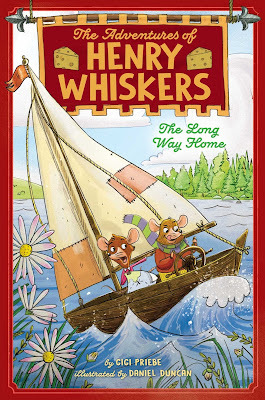 This would be a great series to offer after Geronimo Stilton or for fans of Beverly Cleary. 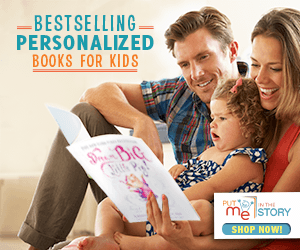 Give these books a try! 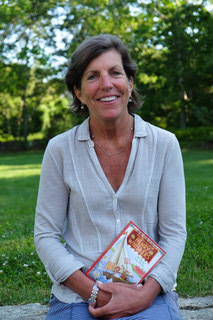 Gigi Priebe is the mother of three, the founder of Stepping Stones, an award-winning children’s museum in Norwalk, Connecticut and the author of The Adventures of Henry Whiskers, the first in her middle-grade series. When she is not writing—or rewriting—she is a philanthropic advisor and community volunteer in Fairfield County, Connecticut, where she lives with her husband, a cat named Tigger, a dog named Clover, and probably some mice. To learn more and to download a free curriculum guide, visit gigipriebe.com. Open to the US only, ends 8/25/2017. No purchase is necessary. Void where prohibited. Literary Hoots and the publisher/publicity department are not responsible for lost, stolen, or damaged items. If you are under 13, please get a parent or guardian's permission to enter. 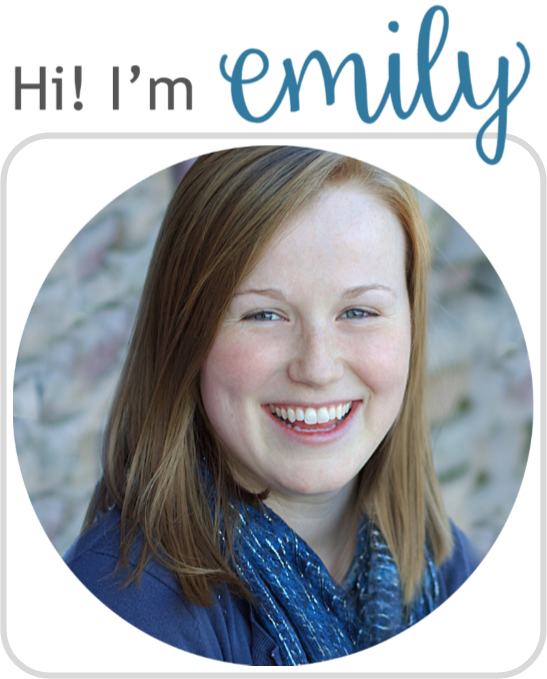 Winner will be chosen randomly via Rafflecopter after the contest ends. Literary Hoots reserves the right to disqualify contestants. Fraudulent activities will be monitored and will lead to exclusion. The winner will have 48 hours to respond to the email, otherwise, we will pick a new winner. I love the mouse in the Mouse and the Motorcycle--such a spunky little guy.